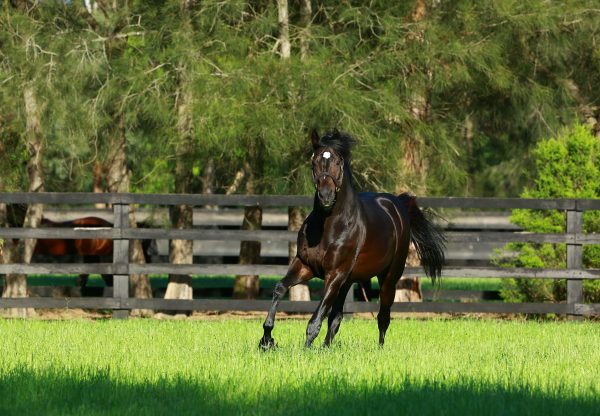 Dual Cox Plate hero So You Think has been on fire in the past 24 hours with new stakes-winners Think Bleue (3f So You Think x Ballybleue, by Peintre Celebre) and The Pinnacle (4m So You Think x Spire, by Danehill) followed by sensational grey colt D’Argento (3c So You Think x Fullazz, by Redoute's Choice), who stormed to an eye catching win in the Group I ATC Rosehill Guineas at Rosehill on Slipper Day. He made it a race to race Group I double for champion trainer Chris Waller, who won the previous race, the Group I ATC George Ryder Stakes with Winx. “Winx was like this horse, just a nice three year-old on the up, you never know how far they can go,” Waller said as D’Argento returned to scale. 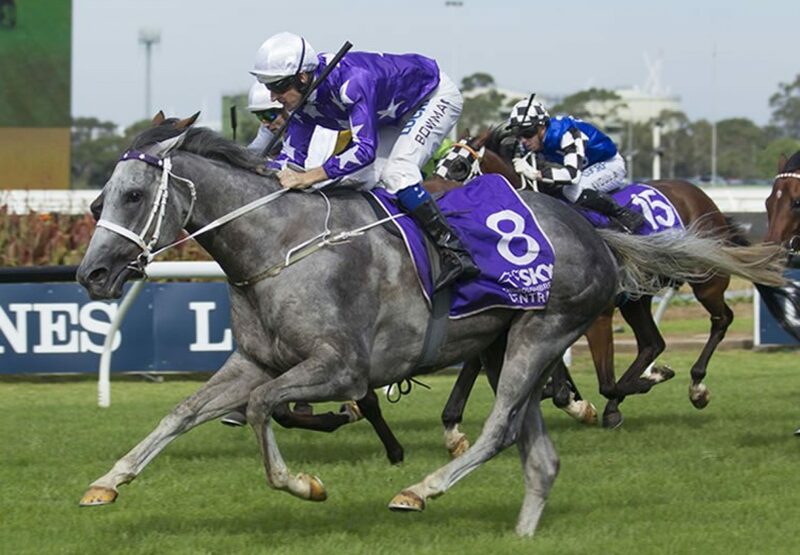 The dashing grey won his first three starts before finishing third to Kementari in the Group II ATC Hobartville Stakes and last start he was an unlucky seventh in the Group I ATC Randwick Guineas. 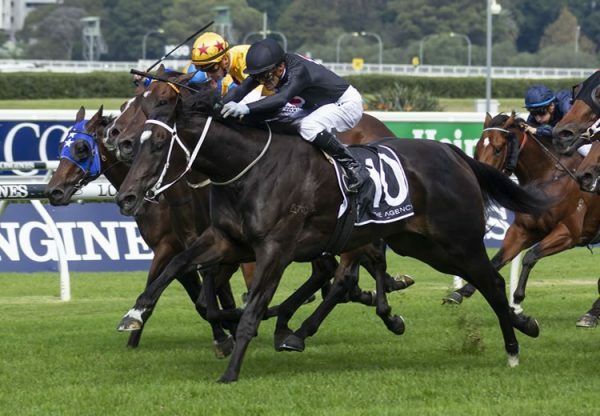 Punters believed D’Argento was better than that and he was heavily backed in the Rosehill Guineas before surging home from back in the field under Hugh Bowman to beat New Zealand Derby winner Vin de Dance by more than a length. A subsequent protest from the fourth place-getter saw Vin de Dance relegated to fourth with D’Argento’s stablemate Tangled promoted to second. D’Argento travelled three wide and was a touch green down the running when wanting to lay in behind runners, but hit the line hard in the 2000 metre staying test. “He has shown so much for a long time,” said Hugh Bowman. A $135,000 Magic Millions purchase for Star Thoroughbreds from the Baramul Stud draft, D’Argento runs for a big group of Star owners and has the overall record of four wins from six starts with prizemoney topping $560,000. A quality colt with a touch of brilliance and some obvious staying potential, D’Argento could either come back in distance to target the Group I ATC Doncaster Handicap or take the traditional path to the ATC Australian Derby over 2400 metres. 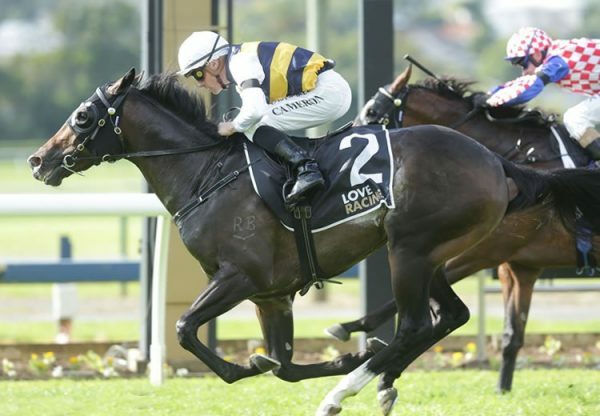 “I had my doubts about him getting 2000 metres, but to see what he’s done here after being three wide… I’ll have to go home and have a think about it,” Waller said, indicating the future of D’Argento as a sire prospect would be taken into consideration. Bred by Gerry Harvey, D’Argento is a half-brother to Magic Millions 2YO Classic runner up Fullazaboot and is the best of five winners from stakes-winning Redoute’s Choice mare Fullazz, who owes her grey colouring to the sire of her dam, renowned grey shuttle sire Kenmare (Fr). It’s a speed female family that features Group I winner Sizzling, so you can see why connections have reservations about D’Argento running a strong 2400 metres. D’Argento is the ninth stakes-winner and third Group I winner for So You Think, joining La Bella Diosa and Inference, who is also bred from a daughter of Redoute’s Choice. So You Think is in hot form heading towards the 2018 Inglis Australian Easter Yearling Sale where he has 14 entries.